Years ago, David Phillips was captivated by a temptress named Desiré. 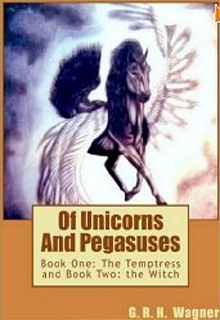 It was not a forever affair and as a parting gift, he asked her to draw for him a Pegasus, never realizing how the drawing would forever bind him to her. Even years after her funeral, he is compelled to answer an invitation to return to her hometown, and in the company of others who had known her for decades, David is taken to the place where Desiré was born and raised and made aware of her unusual upbringing. When he is taken to a castle that Desiré had dreamed of, where other drawings of hers are prominently displayed, he learns that someone else desires possession of his Pegasus, and things aren’t as he was led to believe, prompting questions, the most consuming of which are who was the father of the child Desiré birthed the night she was shot four years before, and why was David there.